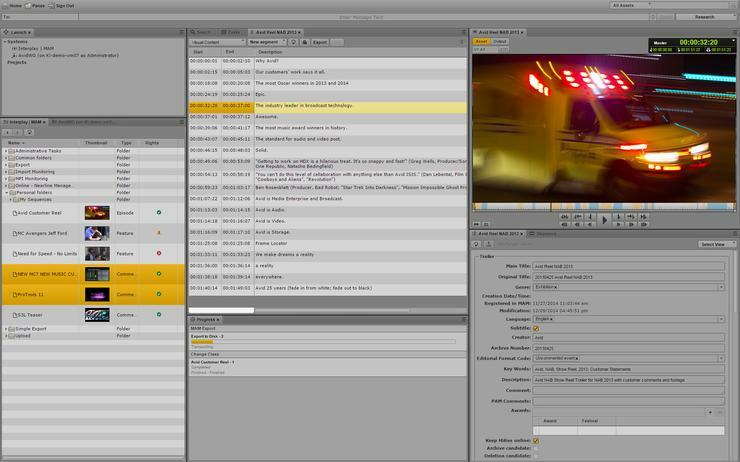 Avid Media Composer First is the free version of one of Hollywood’s most popular film and TV editing programs. It offers many of the same features you’ll find in the pro version, but exporting is limited to 1080p resolution, and it maxes out at four video tracks and eight audio tracks. If you have the patience to grapple with its complexity, it’s excellent software for learning professional video editing skills. Getting started with Avid Media Composer First is hard. The download and installation process is very long, and you have to create and sign into an online account to launch the application. Once you’re in, the interface offers very little in the way of guidance. There are no step-by-step wizards here, though you can right-click on most things and click What’s this? to open an explainer in a browser. You’ll have to look online for tutorials, and while there are good ones, you’ll find that Avid is a very sophisticated program with a steep learning curve. Once you’ve learned it though, it might be the most powerful free video editor available. From workflows to color correction to audio editing, there’s nothing at all to fault in its functionality. It’s the full package. It even offers robust exporting interfaces for YouTube, Vimeo, and Facebook—all things you wouldn’t necessarily expect from a tool born out of professional editing bays. If you don’t have a great workstation, though, performance could be a problem. Avid is heavy-duty, and it requires heavy-duty hardware to match. Even on a relatively powerful desktop home computer, we ran into some slowdowns. All this serves the same narrative about Avid Media Composer First: This is a real, professional-level program, without the pro-level outputs. Its value as an educational tool for young, would-be industry workers is impossible to deny. But as a consumer video editor, it offers far more features than are necessary. On the other hand, it can’t output at 4K, which is going to be a problem in the coming months and years as that becomes standard.